Dear old Titus — that was my last memory of him. Imperturbable as ever; never hasty, never angry, but soothing that vicious animal, and determined to get the best out of most unpromising material in his endeavour to do his simple duty. Thomas Griffith Taylor, remembers the departure of Scott’s pony party on November 1st 1911 – Quoted by Apsley Cherry-Garrard in The Worst Journey in the World. Particularly poignant is his last memory of Lawrence ‘Titus’ Oates, the man Scott had hired as the expedition’s equine expert. Oates would work tirelessly on the outward journey, with the animals. He worked far in excess of most of his comrades, and missed many vital meals and many hours of sleep as he tried to protect the animals from the harsh Antarctic storms that descended upon them. It was thought that Oates, would return to base with one of the support teams, once the men had crossed the Barrier, and reached the foot of the Beardmore Glacier. It was at this stage in the journey that any surviving ponies were disposed of, and their meat cached for access on the return march. 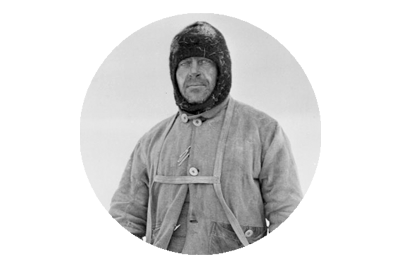 As it transpired Oates was one of four men selected, who would stand at the South Pole with Scott. 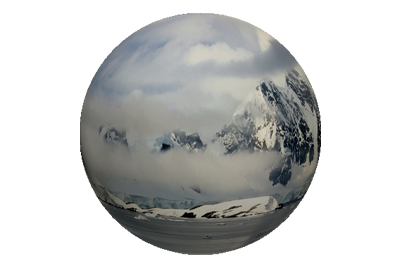 The former soldier would, like all the polar party, suffer greatly, as the weary group made their way back from the pole. One particularly happy tale that punctuates the tragic events of their return, concerns Lawrence Oates’ pipe. 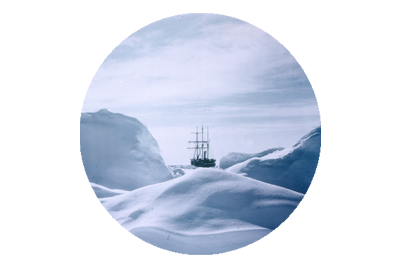 He had lost it, as the group progressed across the polar plateau.This would have been a cruel blow to Oates, as tobacco was one of the few comforts, of Antarctic exploration, that nearly all enjoyed, in one form or another. Weeks later as Scott’s team were on the return trek, despite the vast, broad expanse of the icy white plateau, Oates found his pipe. It was a wonderful moment and Scott noted how it had buoyed Oates’ spirit. There was little else, in terms of good fortune for the men thereafter however. They were plagued with misfortune, scurvy, frostbite and unseasonably severe cold conditions. 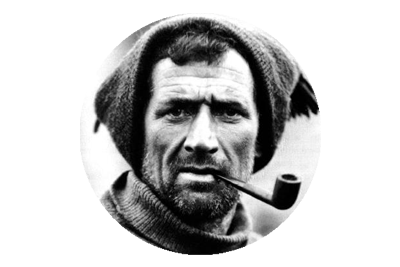 Edgar Evans was first to die, on February 14th 1912 – probably the result of a serious concussion, after falling into a crevasse on February 4th. Oates’ feet had become badly frostbitten, and his demise was agonizingly protracted. On March 17th, the day of his 32nd birthday, he took matters into his own hands, and left the group’s tent, with the words “I am just going outside and may be some time.” He disappeared into the blizzard that raged around them. Alas for Scott, Wilson and Bowers, their brave efforts to continue homewards amounted to a further progression of only 20 hard fought miles. All three died in their tent, 11 miles from One Ton Depot, on or around March 29th.